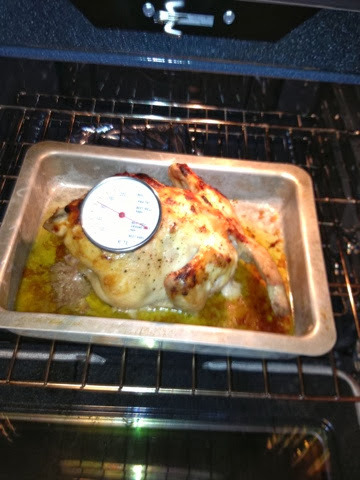 Made a roasted chicken for the first time and even used the heat thermometer that I inherited from my grandma. Isn't that bird a beaut? I was so proud. But I have a confession. Shane did all the prep! I opened the bag and started getting light headed and almost threw up. So my knight in shining armor swooped in and prepped the bird. I just walked him through it and he did an awesome job! I am still having a hard time with raw meat (obviously). So once the chicken browned up I took over and was able to cook it. Meaning I checked on it periodically so it didn't burn, ha! 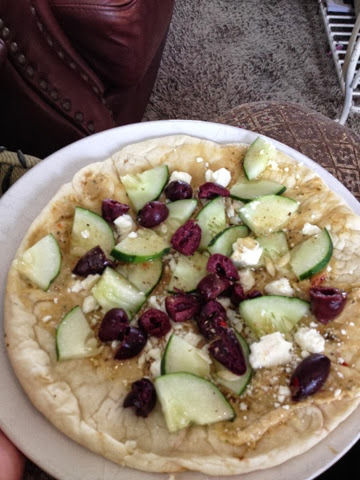 This is my favorite lunch right now. My new organization set-up for school supplies. 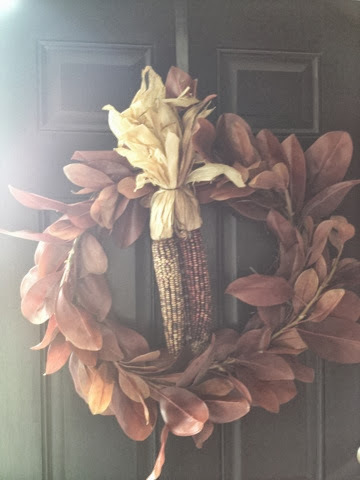 Brought out the Autumn wreath and added the Indian Corn. I still need to add a cute bow but I haven't been to the craft store yet for ribbon. Love the organization thing. Is that Ikea? 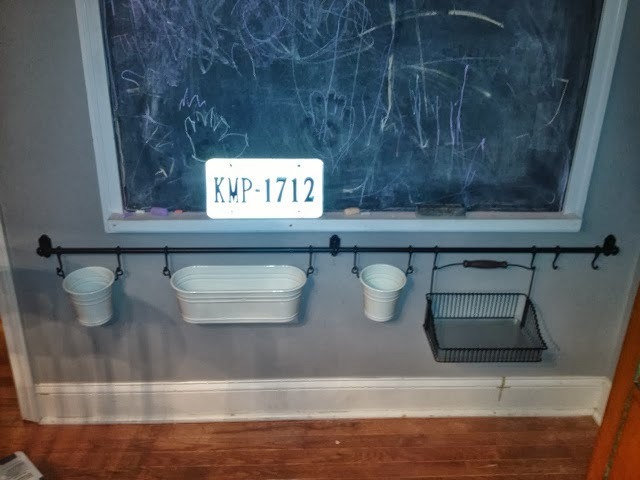 I had one like that in my last house and miss it. Can you tell Im catching up here?